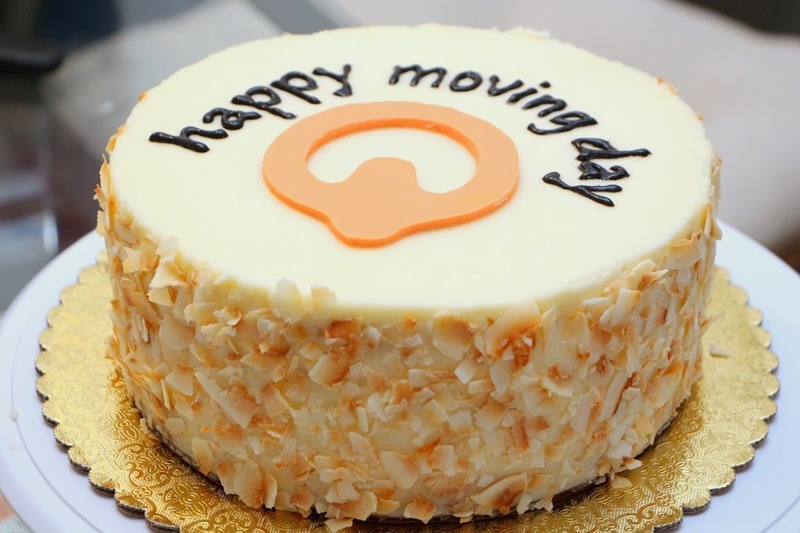 Office Bytes | Moving Day! Some of my happiest baking is for the office. 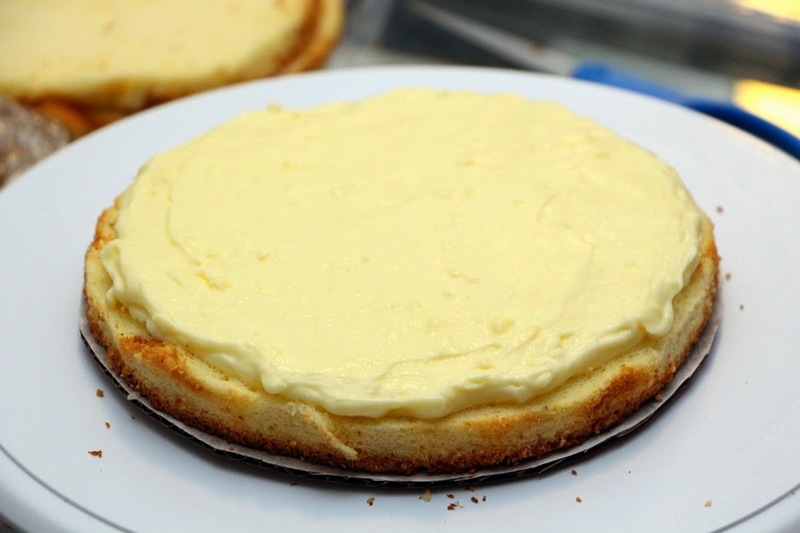 To me, there’s an inherent joy in desserts, and to share that joy with others and make even just one person merrier (especially in the workplace) is what motivates me. Amazon Lab126 just moved offices to a shiny new location in Sunnyvale, CA and to celebrate our last day in the old office, I made a cake! 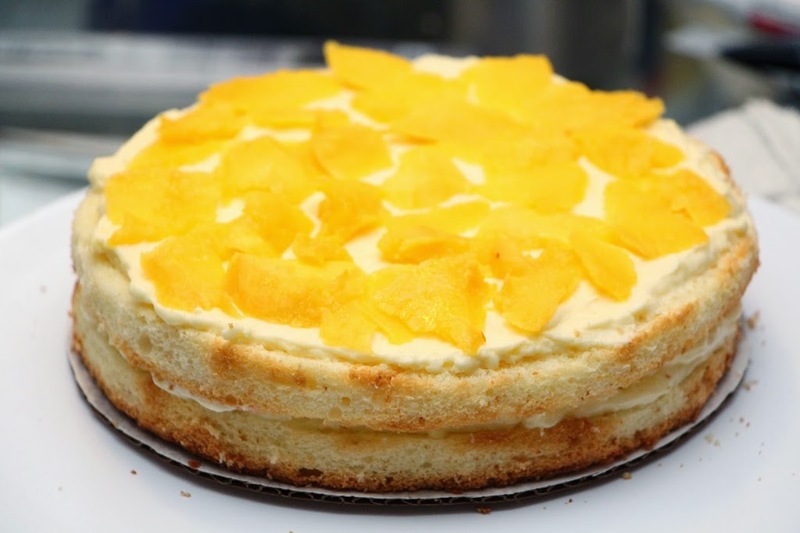 This is a 4-layer lemon chiffon cake with coconut pastry cream and a middle filling layer of mango bavarian cream and fresh slices of mango. The outside frosting is just a plain Swiss meringue buttercream, decorated with toasted coconut chips. I left the cake out (in a mostly closed box) in the kitchenette to let it thaw a bit. By 11am, the cake was 90% gone and I hadn’t even announced its presence. 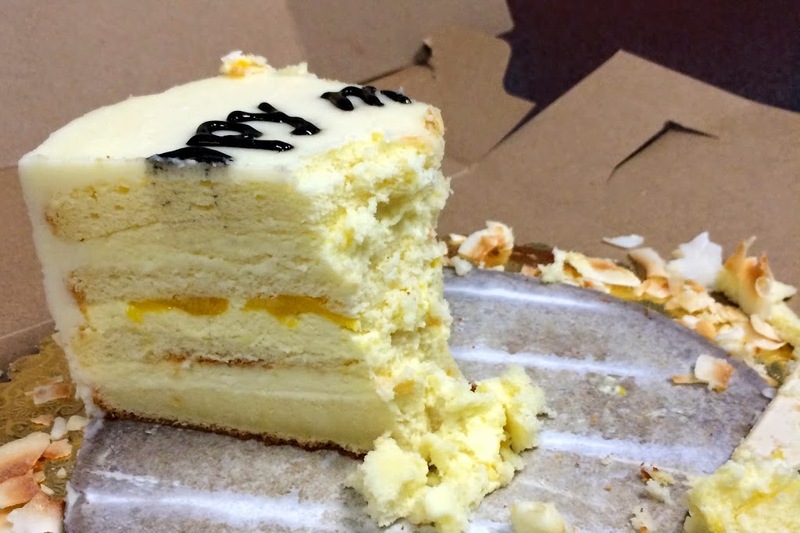 I barely got to taste a bite and snap a photo of the inside before the cake was completely gone, the box thrown away and my knife rinsed off. I guess hungry employees find joy in cake on Friday mornings! Baby Shower | Congrats Vickee & Ian! Summer Fruit Tarts – Happy Father’s Day!